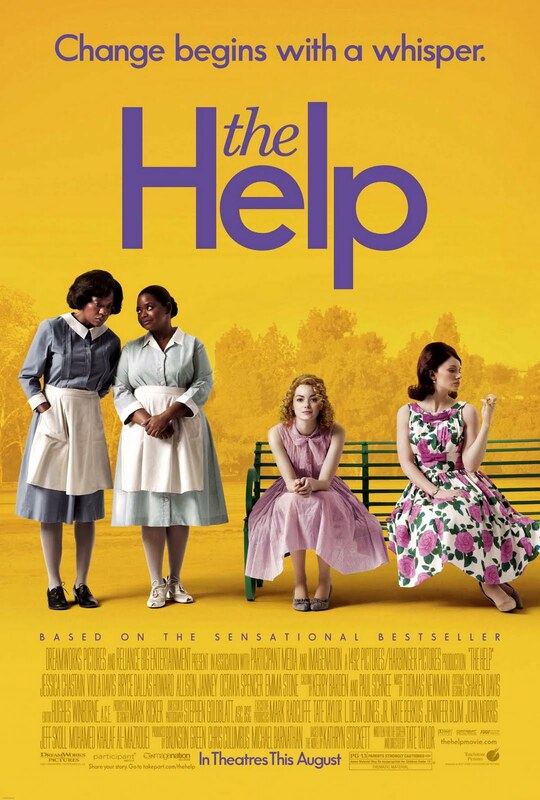 A few days ago, Octavia Spencer was awarded the Academy award for Best Supporting Actress for her role in this film. Viola Davis, billed as the 'lead' (but not quite) was narrowly beaten out by Merryl Streep for the Academy award for Best Actress. Now the Academy has an unfortunate history of nominating 'Oscar bait', the kind of performances which go through the motions of tugging the heartstrings, but not actually creating anything new or creating a new character. Would The Help be the same? Were Davis' and Spencer's Academy esteem deserved? The first comment I ought to make is to answer that, rather than leave it to the end as I usually would--yes, they are both excellent performances by both. There is also a little-mentioned performance from Cicerly Tyson which is simply breathtaking. No film in recent memory has done more to showcase the extraordinary talent of black female actresses working in America today, and for me, Cicerly Tyson and Octavia Spencer stood out especially. The story is quite straightforward, to look at a storyboard, it's all quite predictable. In America's racist past, a girl who embodies all of today's values is on a journey to tell the story of black maids in 1960's Mississippi, the 'worst of the worst' for segregation, violence against blacks and socially acceptable racism in that era. 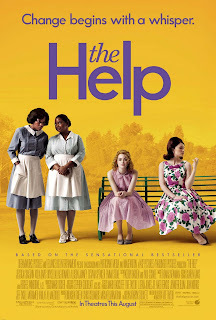 Where the film falls down is in having a showcase of powerful acting from it's black cast, who then need a 23 year old amateur (Emma Stone) to 'tell their story', and since Stone's character 'Skeeter' is so completely set as the embodiment of today's values (contrary to her depiction in the book, wherein she's actually a segregationist who finds interracial marriage "horrific"), there's a feeling of disingenuous about it. It's made worse by the casting of Emma Stone, who basically looks like a Southern Lindsay Lohan. Yes this film needs to show us something uncomfortable, something which shows dignified blacks being stripped of their dignity, but not like this. The black maids and other black characters seem to indulge in a few old stereotypes, and whether this is necessary is at least subjective. The characters otherwise are quite wonderful. Beyond depicting black maids as struggling Aunt Jemimah's, new themes are explored which I've not seen on film. The system whereby white, God-fearing racists hire black women to raise their children for them sets up two unusual themes: the relationship between black maids and white children, and the unusual phenomenon whereby a white child can be raised by a black maid, only to grow up and have the same racist, segregationist views as the rest of society. We see both of these themes explored without the filmmakers treating them as a loose end in need of tying up, or giving them any sort of Hollywood polish. In doing so, there are a number of genuine lump-in-the-throat moments which make the film so worthwhile, and it's the successful combination of these rather complex themes with the outstanding performances mentioned above, which put The Help into the four star category. More care could have been taken with the soundtrack, and the music chosen for the credits seemed completely out of place. The scenery is is rich and pretty, and shows off the beauty of the state of Mississippi while telling the story of the ugliness of the people living in it. It's a film that has longevity, and I look forward to giving it a second look.